Listen to a special episode of Delta Dispatches! 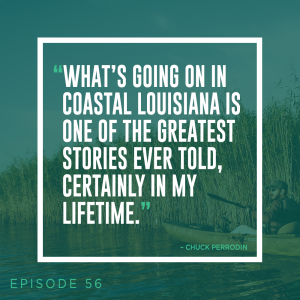 Recorded live from State of the Coast 2018, host Jacques Hebert moderates a panel of expert coastal communicators that represent all facets of coastal: the state, NGOs, journalists, and filmmakers! Members of the panel include: Mark Schleifstein (The Times-Picayune), Chuck Perrodin (CPRA), Amy Wold (The Water Institute of the Gulf) and Brian Boyles (Louisiana Endowment for the Humanities). Tune in next week to hear the second half of this fascinating conversation!